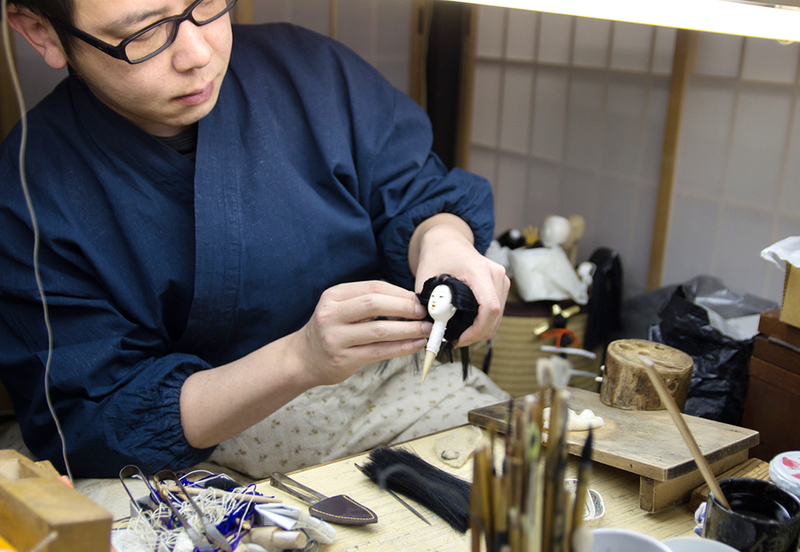 Observe the skillful techniques of production and restoration of elegant Kyoto dolls. Kimata is an atelier mastering the art of traditional doll making developed in Kyoto’s refined culture. Specializing in delicate doll hairstyling techniques, Kimata performs the old doll repair and restoration service as well. Here you can observe the handling of traditional dolls of different Japanese regions and periods.